ISLAND BLUFFS is a multi-layered story of forgiveness, of understanding the dark side of the human spirit, and plumbs the question: are children and grandchildren accountable for the sins of their parents. It is also a love story. 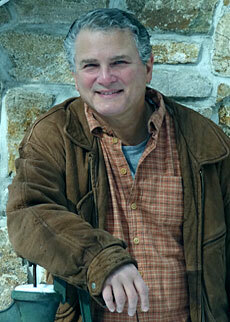 Carly Mason, NY's top forensic dentist is married to widower, Gabe Berk. Having exhausted all of NYC's top fertility experts, they learn of an eccentric scientist -- a survivor of the Mengele Twin Experiments - who runs an exclusive clinic. The doctor presents a Faustian challenge: Carly must carry twins, one biologically related to her and one that is not, agreeing to give up the surrogate baby at birth. In addition, the Berks must move to within thirty minutes of the doctor's clinic at the Jersey Shore. Carly and Gabe, along with Gabe's daughter from his first marriage and his father who is a Holocaust survivor, move to Island Bluffs. 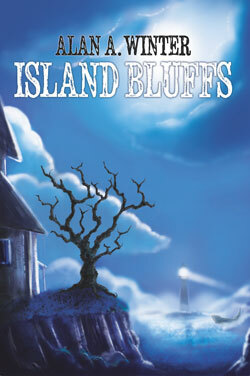 Island Bluffs is a present-day town blinded by a pact made long ago that is filled with secrets all would prefer to remain buried. Now that the Berks have bought this long-forgotten house, keeping secrets buried is no longer an option. When these truths are revealed, they will, by turns, shock and amaze and challenge the very fabric of what is morally right and wrong. 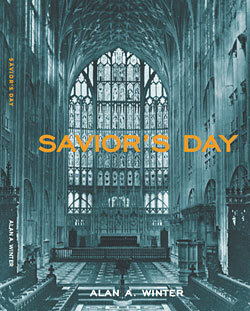 SAVIOR'S DAY Savior's Day is a work of fiction taken out of today's headlines. Cardinal Arnold Ford, head of the Archdiocese of New York, witnesses a murder on the steps of St. Patrick's Cathedral. With the old man's dying breath, he hands the Cardinal a sliver of ancient parchment to keep and protect. What follows is a tale woven from an open case that Israel's vaunted spy agency, the Mossad, is afraid to solve. What do they fear? How can the lost pages of an ancient treasure threaten the very existence of the State of Israel?